I stumbled across the video recording of “ The Complete History of the Demoscene“, a presentation by Tamas Polgar, Author of Freax and member of the Hungarian demo group Madwizards, at the Assembly 2005 Demo party in Helsinki, Finland. His book was published in 2005 (it’s available at the merchandising section of my site among other gems) and the presentation happened after the book came out. The video was uploaded to Scene.org in August 2006, shortly after Assembly 2006. He also gave a presentation at Assembly 2006 called “The Art of Pixels: from sprites to Photoshop”. This and other presentations from Assembly 2006 are available at Alive.Assembly.Org. He starts with the development of the first computers from the 1960s that were capable of displaying graphics rather than just perform mathematical calculations and return the results in text format. The first cracked software appeared on the Apple II computer at the end of the 1970s, but cracks were done by individuals who just removed the copy protection and then copied the software for friends etc. It was mostly unknown who cracked a specific program, because the cracker did not include any credits or reference that pointed to him. Cracking groups appeared on the Commodore 64, which was released in 1983. It was around 1985 that cracking groups started to add little programs to the cracked programs that were developed by the cracker groups themselves. Before that was it common to simply alter some text in the program to put their names into the cracked software. A favorite spot were the high score tables of games. The limit of three characters in those high score tables, something that was adapted from video arcade games, is the reason for the 3 letter abbreviations of oldskool cracking groups, such as TRD for Triad, DTC for Dytec or Dynamic Technologies, GCS for German Cracking Service (who created one of the very first intros), RZR for Razor 1911 or RSI for Red Sector Inc. (which later merged with Tristar to become TRSI). It become a competition between the individual cracking groups to create the best crack intro, in addition to the existing competition of who is first to crack and release a program, who created the best trainer (cheat) and other related things. Designers, musicians and coders joined the cracking groups for the sole purpose of creating great crack intros for the group. The poor treatment of those sections within the groups, which hailed and embraced great crackers, while merely tolerating a great coder of cool intros, caused frictions between the illegal cracking parts and the legal intro creating sections within cracking groups. It was not for long that the intro coders, artists and musicians started to split off the cracking scene to create their own scene, own parties etc. This was a process that happened over time. It was not happening over night. Around the same time were also productions released without anything else than the intro itself. Those productions had usually multiple parts and were called demos. Specifically long demos (one floppy disk side or more) were called mega demos. The Commodore 64 demo scene partially made the transition to the Commodore Amiga, although the C64 and Amiga demo scene existed parallel to each other for years to come. The Amiga demoscene really grew into something big in 1991, the year when the first demo party was held that had more than 1000 attendies, “The Party” 1991 demo party, held in December 1991 in Denmark. The demo that won the competion was “Oddyssey” by Alcatraz (a 45 minutes long demo that caused single handedly the introduction of the 10 minutes limit for demos from this point on), but the most memorable demo was probably “ Hardwired“, a joint production by the demo groups Crionics and The Silents. The PC demo scene development started around 1991. Before that did a few demo groups exist who created demos, such as the legendary “Spacepigs” who wrote demos using the 16 colors EGA graphics card (not mentioned in Tamas presentation, which is a bit sad). It wasn’t before the VGA graphics standard with 256 colors capabilities became the de-facto standard for modern PCs that a demo scene developed. Also the poor sound capabilities of the PC (PC Speaker, later Adlib Sound and Tandy) were not providing the right environment for a demo scene to develop. This changed with the appearance of the SoundBlaster soundcard by Creative Labs in at the end of 1990, early 1991, that the PC became really multi-media compatible. Early productions were the 1991 mini-demo by Ultraforce Development or intros by Brain Slayer. The first real great demos that came out where Chronologia by Cascada, Triton’s Crystal Dream 1 and especially Future Crew’s “Unreal”, which was released at the Assembly 1992 demo party in August 1992. The PC demo scene cached up with the flourishing Amiga demo scene in 1993 with demos like Future Crew’s “ Second Reality” and Triton’s Crystal Dream 2. The top demo of the Amiga around this time was Kefrens’ “ Desert Dream” demo. Commodore released in 1994 the successor to the Amiga 500 and 2000, the Amiga 1200 and 4000, which had better graphics capabilities and a faster processor, but the company Commodore was already not very healthy anymore at that time and it wasn’t for long that the production of Amiga?? ?s was halted and the company went out of business. 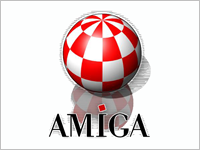 Around 1996-97 occurred a mass migration of oldskool Amiga demosceners over to the PC. Windows 95 was just released a few years earlier and Windows 98 was also released at the time. For the PC also started to appear graphics cards with special 3D acceleration capabilities. The first demos that made use of that special hardware appeared around 1996-97. The PC demo scene evolved and is still alive and kicking today. The Commodore 64 and Amiga demoscenes never died completely and will probably not die before the remaining scenes of those scenes die with it. Although large demo parties such as Assembly in Finland and The Gathering in Norway are still being held annually (Assembly even twice per year now), did they faced the problem of being polluted by gamers who come to the demo party events to play multi-player games in a gigantic LAN party straight for several days, rather than to engage in a friendly and creative competition to show of programming, musical or graphical design skills. This pollution caused the appearance of oldskool scene parties like Breakpoint in Germany, which are small in comparison to the 5000+ attendees events like the mentioned, but are true to the original nature and purpose of demo parties. Most of the stuff I mentioned in my post is mentioned in Tamas presentation, although some of the stuff I mentioned is missing. It also contains tons of stuff, which I didn’t even touch on in my post. You should check it out. The video is about 90 minutes long. If you cannot play the embedded video for some reason, see it directly at Google Video at this URL. The demo “Obsoleet” by Unreal Voodoo, which was released at the Assembly 2004 demo party illustrates in an entertaining way the development of the demoscene from Commodore 64 over the Commodore Amiga to the modern day Windows PC. It shows early effects using sprites, star field simmulation, worm hole effects, real plasma and continues with labert shading (flat shading), then gouraud shading to phong shading. I uploaded the video recording of the demo to YouTube and embedded it into this post as well. I am sure that you will enjoy it. It is certainly more entertaining than listing to a guy who is talking for 90 minutes, right? Here is the backup link to video at YouTube.com. For more information about “Obsoleet” by Unreal Voodoo, the winning demo of the demo compo at the Assembly 2004 demoparty in Finland, also links to download the original demo executables for MS Windows or Linux visit this page at the demoscene releases database at Pouet.net. Thanx for introducing me to Obsoleet! I <3 demos and haven’t seen this one before. I like the anthology approach and will watch it in full soon. Have a lovely day!